When you own a home and rent it out to others, you need landlord insurance. The insurance industry’s formal name for landlord policy’s is called a Dwelling Fire Policy. Dwelling Fire Policies are known as a DP-3 or DP-1 policy. The idea of the Dwelling Fire policy is that you want to cover your homes structure, but have less coverage for contents. Less contents coverage because your tenant is going to usually bring their own furniture and clothing. We always recommend taking a little bit of contents coverage on these policies for your appliances. Likewise, if you have a furnished home, contents can be increased to the coverage limit you would need. Rents. In the event of a covered claim, and your tenant not able to live there, the Loss of Rents would provide lost money of your rental income. The other big difference in a HO-3 policy and a DP-3 policy is the difference in contents, as stated above. DP-3 is the better of the two, with much broader coverage. DP-3 as defined, means everything is covered, except what is defined as excluded in the policy. A DP-1 Policy means everything is excluded, accept for what is named as covered. These coverage’s are called Named Perils. Common Named Perils are, Hurricane, Windstorm, Fire, Lighting, Internal Explosion, Smoke, Riot, Collision, and Vandalism. The two most common claims a DP-3 covers that a DP-1 doesn’t are; Water Damage caused by pipes bursting. If you have a pipe break inside your home causing water damage, this would be covered on a DP-3 policy, while this isn’t covered on a DP-1 policy. Another common claim that a DP-3 covers that a DP-1 doesn’t is Theft. These are just two of the most common claim examples, the DP-3 policy hasmany other coverage’s the DP-1 doesn’t. For more details, please call us and speak to one of our agents. Your Tenants Dog Bites Someone Are You Covered? If your tenants dog bites someone, you can also be sued as the home owner. This type of coverage is called “Animal Liability Coverage”. Animal Liability is a standard exclusion. Some companies will offer the coverage as an option (policy endorsement). How Often Is Your Home Tenant Occupied? It’s important to have your Dwelling Fire Policy set up correctly regarding rental time periods. 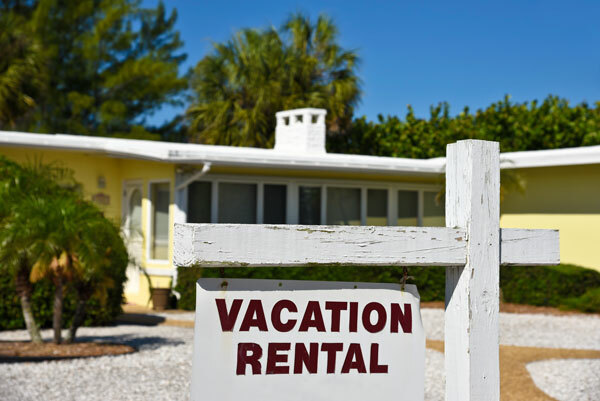 Some carriers don’t allow for short term rentals. If you do short term rentals, and your not set up that way with your carrier, or with one that does. You could have an issue in the event of a claim. No one company is right for everyone. We represent all but 3 of the known landlord insurance carriers available here in SWFL. We’ll shop you will all of the insurance carriers we represent, to make sure we get you the best priced policy. During office hours if you call our agency you’ll always get a real person, who is also a licensed agent, answering the phone. During office hours we don’t have voicemail, we have real people taking calls. All new policy’s are overseen and customized for your individual needs by one of our owners. Paulette Halbrehder has almost 25 years of insurance experience. Our other owner Jay Halbrehder has 20 years of experience. We have a process to interview and educate our clients. With so many carrier and policy options available, we try to make insurance education simple. Let us make you a smarter consumer. Personal Property Coverage – Example of personal property would be your appliances. Sinkhole Coverage — Catastrophic Ground Coverage vs. Sinkhole Coverage — Catastrophic Ground Coverage is automatic coverage and is Abrupt falling of home. Sinkhole is better coverage and covers slow sinking over time. Most companies require a $150 inspection paid by the insured, to examine property for any settling cracks prior to allowing coverage. Our agency located in Cape Coral and Fort Myers, FL offers landlord insurance. Learn how to shop and compare rental house insurance on our website.